So you want to hire a photo booth in Glasgow? What should you expect for your money? Large photos, unlimited prints, social media, props, fully staffed. Here is a full list. At Platinum Discos we provide huge 9 inches by 6 inches prints on high quality gloss paper. We personalise these with your name or the event. There is no limit to the number of prints you can print. That’s correct, unlimited prints ! We push as many of your photos to social media and email as you wish. We transfer every picture to a USB pen drive at the end of the hire. 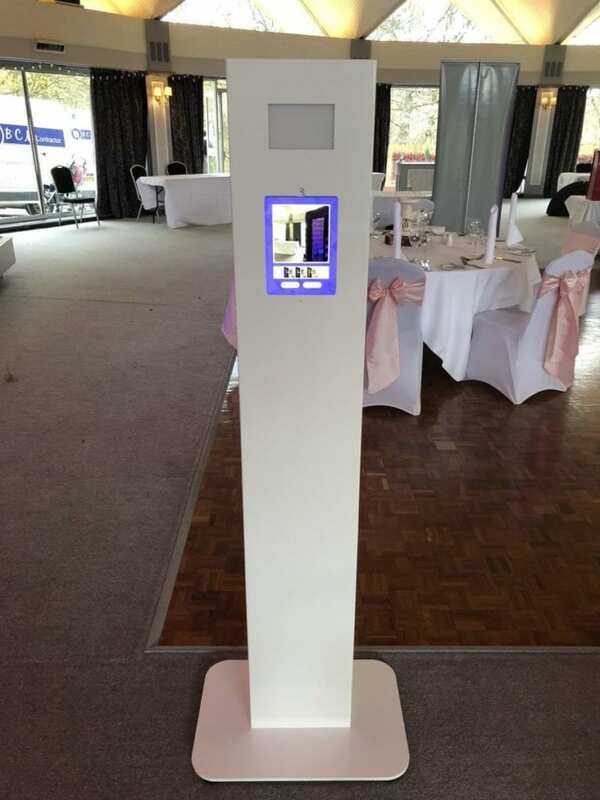 A member of staff to assist you with your photo booth. Several boxes of quality props to enhance your photo booth photos. The feature to add “stickies” to photo booth pictures, just like Facebook and Instagram. Your enjoyment is our aim and we leave nothing to chance with a photo booth hire. If you have a special request we will do our best to fulfill your wish. We offer a few extras for a small fee such as a photo album that will hold at least 100 of your favourite photos, and frames for one pound each for individual picture. 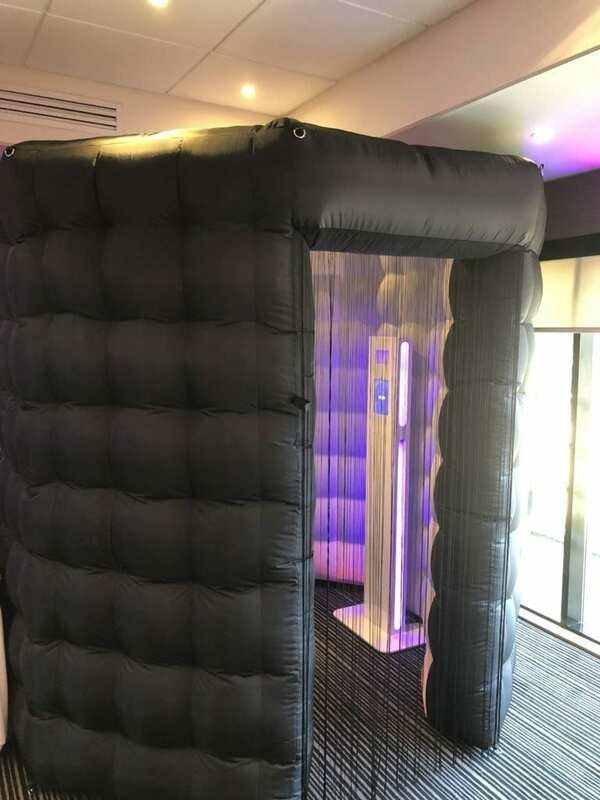 We can provide the photopod on its own or use the full inflatable booth. We bring both so any last minute changes are not a problem. The booth requires around 2.5 metres by 2.5 metres space and roughly the same height clearance. This means it easily will fit in a normal room. Without any fear of contradiction a photo booth is by far the most popular item we have. It is a huge source of fun and enjoyment for everyone. The size and quality of the prints is appreciated by all who see them. These are definitely “keepers” and can be displayed with pleasure. Our prices are extremely competitive and we won’t be beaten. 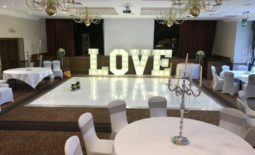 If you wish to add any other services we provide, such as a Dj, Candy cart, Love Letters or an LED Dance Floor our prices become even better as we are able to do a discount deal. We have provided services at hundreds of venues in Glasgow and the surrounding area. From the best five-star hotels to small community centres and even private homes. 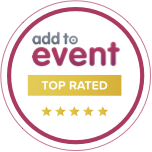 No matter the size of your event, we can add something special to make it even better. Don’t delay, get in touch now and please ask us about any special offers we currently have and we will be genuinely happy to help.